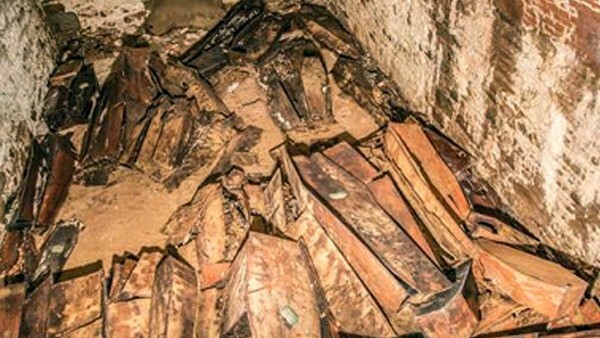 New photos from one of the two vaults found underneath Washington Square Park in Greenwich Village this week show what appear to be century-old wooden caskets. 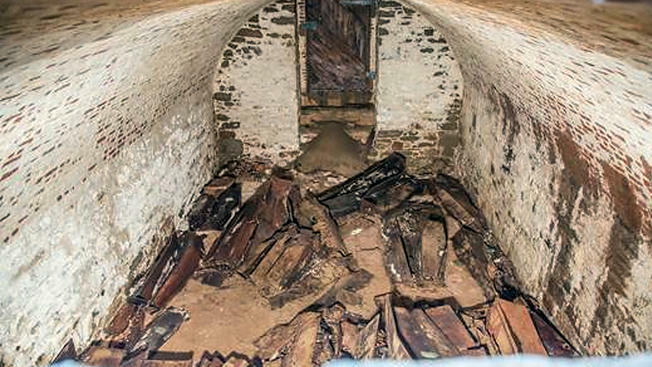 The photos, released Friday by the city's Department of Design and Construction, give a new glimpse at the two 15-by-18-foot crypts that were discovered this week by workers upgrading water mains underneath the popular park. The vaults are thought to be part of a Presbyterian church cemetery, according to archeologists and officials. 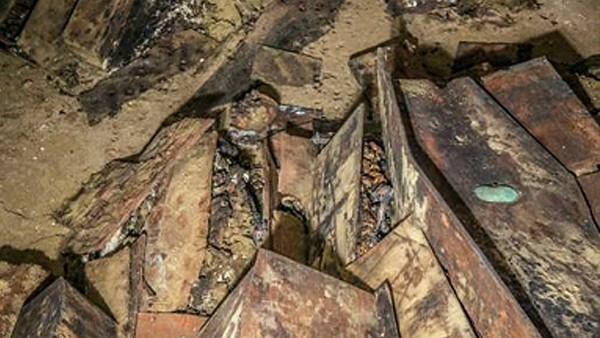 The newly released images show dozens of coffins, apparently undisturbed and in remarkably good shape for their age. Some of the coffins appear to be popped open. The other vault appears to have been disturbed, with the skeletons and skulls of between nine and 12 people pushed into a corner. The vaults were probably built in the late 18th century or early 19th century and belonged to one of two area Presbyterian churches, according to Chrysalis' Alyssa Loorya, the project's principal investigator. Members of her team will search old newspapers, death records and church archives to identify the buried — if possible.